Home / Preg-U / Resources / Contractions 101 / Braxton Hicks All Day? Probably Totally Normal. Braxton Hicks All Day? Probably Totally Normal. Previous: What Does a Contraction Feel Like? Ask This Contraction Monitor! Next: Is Bloomlife safe? Yes! Why do I feel Braxton Hicks all day? If you are lucky enough to get acquainted with good ‘ol Braxton Hicks nice and early in your pregnancy, you may notice that it feels like you get these pesky non-labor contractions all day. Braxton Hicks contractions can start as early as the second trimester. They often feel like a general tightening in your abdomen although everyone experiences them a bit differently. The thinking is that Braxton Hicks are “warm-up” contractions. Your uterus is a muscle, just like your bicep (but bigger and stronger!) and like any other muscle in training mode, it needs to get ready for the big day. How does it get ready? You guessed it: by contracting. Often a woman experiencing Braxton Hicks all day is told she has an “irritable uterus” or “uterine irritability”. Despite the silly name, this non-medical classification is often nothing to worry about. A study published in the New England Journal of Medicine indicated that women who experience uterine irritability are no more at risk for preterm labor than those women who do not experience it. 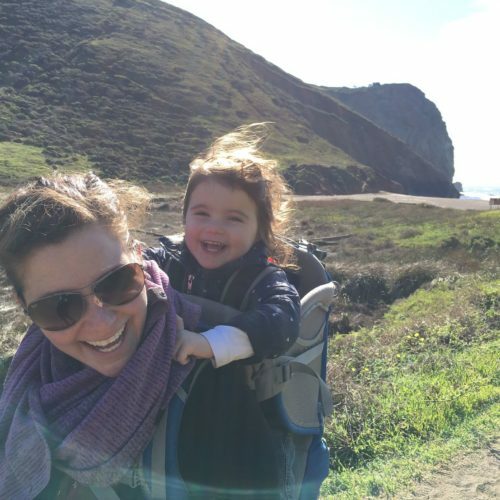 What might cause me to experience Braxton Hicks all day? A few things can increase the number of Braxton Hicks contractions in your day. On your feet for a long time? Yup, that’ll do it. A bit dehydrated? That could do it too. Over-hydrated and have to pee really bad? You guessed it, full bladder can also cause an increase contractions. Fun! So sit down, relax, empty your bladder and fill it back up with a large glass of water. Now see if they go away. Phew. While, yes, Braxton Hicks contractions are totally normal, any changes from your regular daily pattern might indicate something to discuss with your care team. How do I know my “regular daily pattern”? We’re glad you asked! Timing contractions will help you see your contraction pattern and how it changes. 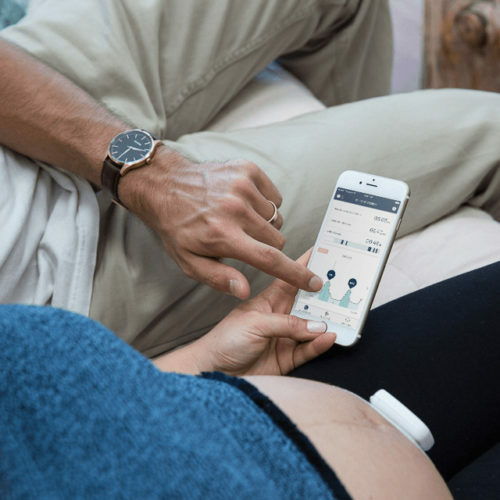 Even easier, a smart pregnancy tracker, like Bloomlife, will do all the contraction tracking for you and you’ll be able to view your trends over time and see when things seem a bit different. How do I know that these are Braxton Hicks and not labor contractions? 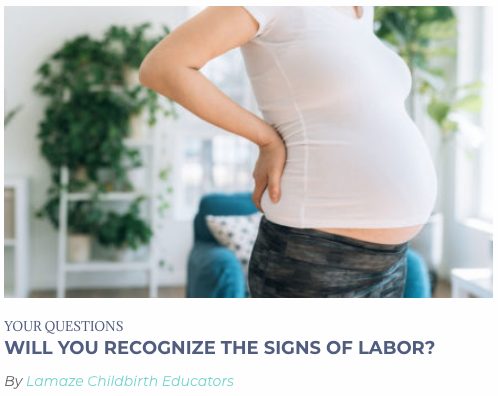 Some additional signs typically come along with labor but if you key in on contractions, focus on a few things: contraction pattern and timing. Non-labor contractions usually take on an irregular pattern while labor contractions become regular (evenly spaced) and get closer together. Other things to look for with contractions include whether the intensity is increasing and whether contractions go away or strengthen when you change position or move around. As always, trust your body and your instinct. If something feels a bit off, different, or worrisome, contact your care team. They are there to help! Braxton Hicks Contractions—Answers to Your Top Questions!